More than half a dozen retailers have filed for bankruptcy in 2018, pointing to more struggles ahead. With data from CreditRiskMonitor, we looked at companies that may be vulnerable. Indeed, the year started with several bankruptcies in the early months, hinting that the crush of Chapter 11 filings in the industry, which last year outpaced those during the most recent recession, wasn't over. After all, many of the challenges to mall and specialty retail remained: declining foot traffic at malls, rapid e-commerce encroachment, shifts in consumer spending and large debt loads for those retailers that have gone through leveraged buyouts. The economy and strong consumer confidence have given retailers a boost across the industry. But there is still gobs of debt out there and with it retailers who are vulnerable to changes to the wider economy or their specific markets. With that in mind, we've looked at the retailers in the second quarter of 2018 that have the highest risk of going bankrupt in the next year. In putting together a list, we relied on data from CreditRiskMonitor, a service dedicated specifically to predicting the risk to companies with publicly traded stock or bonds of going bankrupt. CreditRiskMonitor estimates the risk of a company filing for bankruptcy within 12 months based on several streams of data, including financial ratios, bond ratings, a commonly used credit analysis model (the "Merton" model) and aggregated data patterns from its own subscribers, which include credit professionals and major corporations. The following was culled from lists of retailers with FRISK scores of one or two in the second quarter 2018. Net losses for 2017 (which included a benefit for income taxes of $105.5 million) widened to $125 million from $23.5 million the year before. In the fourth quarter, sales at the retailer's flagship brand fell 4%, but the Madewell unit lifted the entire company, with sales growth of 32%. That trend continued into the second quarter. In Q2, J. Crew narrowed its loss year over year to $33.9 million, but it is still operating at a loss. In June, the company said it had brought in West Elm's creative director to be J. Crew's new chief design officer. Neiman Marcus top-line sales in fiscal 2017 (which ended in July) fell around 5%, to $4.7 billion, compared to 2016. That's a tough hand for a retailer weighed down by a $4.8 billion debt pile, but the luxury department store chain has put together a string of winning quarters, with healthy top-line and comparable store sales. In the period that included the holiday season, Neiman posted a needed positive profit. To boost profit and sales, the company has cut jobs and developed a "Digital First" strategy to engage customers more deeply. So far, it appears to be paying off, but the company's interest expenses are still dragging it into the red. Last June, acquisition talks broke down with Hudson's Bay, reportedly on concerns about the retailer's debt. Neiman Marcus, held by a group of private equity firms, had also earlier floated plans for an IPO that never materialized. In January, CEO Karen Katz, who had served in the chief executive spot since 2010, stepped down and was succeeded by Ralph Lauren executive Geoffroy van Raemdonck. The company has seen additional turnover in its CMO, CFO and CIO spots. A spokesperson for Neiman noted in an email to Retail Dive this spring that the retailer had total liquidity of about $842 million at the end of Q2 (which ended late January), giving the company "the flexibility to strategically invest in our businesses." Neiman's next major debt maturity isn't due until 2020, and it's long-term debt does not fully mature until 2021, the spokesperson said, adding, "We will continue to proactively manage our liquidity and capital structure." J. C. Penney has been under pressure for some time as the department store sector bleeds. With investors already growing impatient with the retailer's slow-rolling turnaround, the company also lost its CEO to Lowe's, further complicating its prospects for a successful turnaround this year. Already in 2018, the retailer has axed more than 1,000 jobs and closed a distribution center. Store closures last year led to a 0.3% drop in top-line sales in 2017, and Penney's comps barely budged. Net income for the year was $116 million. The retailer has by and large performed better than its peer Sears — in part by boosting its appliance sales to capitalize on Sears closures. But it carries a total debt load of about $4.2 billion, which aside from being a financial risk, limits J.C. Penney's ability to adapt to changes in the sector. Sears Holdings' sales have been declining for nearly a decade. Years of cost cuts, store closures, asset sales and layoffs have done little beyond slowing the loss of money. As media and analyst coverage became increasingly gloomy last year, the retailer lashed out at the media and publicly feuded with suppliers, as well as breaking off ties with a major appliance maker in Whirlpool. To date, Sears has avoided bankruptcy in part with the help of its CEO Eddie Lampert's hedge fund, which has loaned hundreds of millions of dollars (with interest) to the department store retailer. It also sold off owned property, piecemeal at times, and it could be selling the Kenmore brand and home services units to Lampert's fund, after he propositioned the company he runs about a prospective deal. The company has also bought turnaround time and freed up cash through a distressed debt exchange, among other moves. In the fourth quarter, Sears posted a badly needed profit — though its comps sales dropped 15%. Its comps dropped again in Q1, and the company returned to negative profits. GNC is a leader in a growing and competitive supplement space, an area that has come under scrutiny from public health officials and state attorneys general. Financial and operational issues have plagued the company in recent years, though. GNC's top-line revenue in 2017 fell 3.4% year over year to about $2.5 billion while it carried $1.3 billion in long-term debt. Same-store sales at the supplement retailer's domestic company-owned stores fell slightly and declined 2.4% at franchise locations. 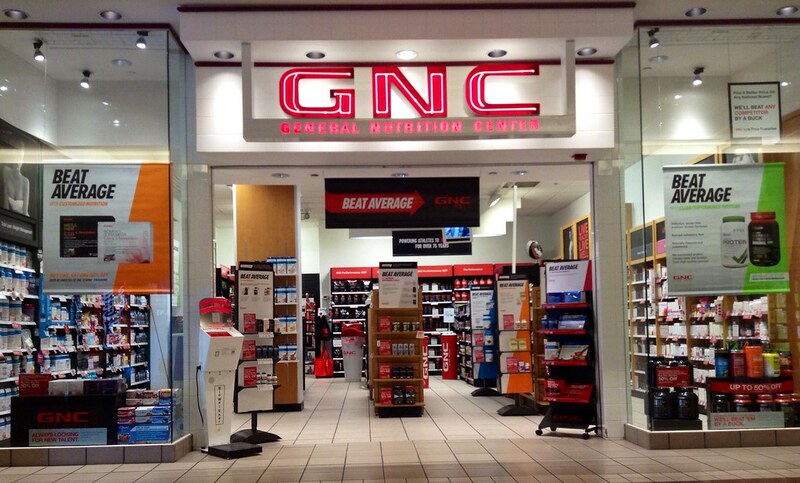 In Q2 of 2018, GNC reported declines in top-line and comparable sales as well as profits. But the company's chief executive said its e-commerce and China businesses were bright spots, and that the company would lean on private labels to drive future growth. In late 2016, GNC briefly shuttered all its stores in an ambitious rebranding that came after then-CEO Robert Moran found "a badly broken business model in need of change" in the retailer he'd taken over. The arrival of Moran followed the abrupt resignation of previous CEO Michael Archbold the summer before. And Moran himself was replaced in September by former Rite Aid CEO Ken Martindale. Fitch in February upgraded the company's debt out of junk territory after it worked with lenders to extend maturities. At the time, the analysts noted that changes to the company's pricing and a new loyalty program made them more optimistic about the retailer's operating trajectory. Also in February, the company disclosed that a Chinese pharma company agreed to buy a 40% stake in GNC and run a joint venture with the retailer to manufacture, market, sell and distribute GNC-branded products in China. The deal is expected to close in the second half of 2018. 99 Cents Only Stores operate in a low-margin space that's only gotten more competitive as Dollar General, Dollar Tree, Walmart and others battle for market share. The 35-year-old chain was bought out in 2012 by private equity firm Ares Management as well as the Canada Pension Plan and a private family. In February, the retailer named a new CEO and projected strong sales improvements. The company has indeed posted positive same-store sales growth for several quarters going. Yet 99 Cents Only is still losing money. In December, it reported a third-quarter net loss of $27.1 million. That came on top of a $33.6 million loss in the second quarter and an $8.8 million loss in the first quarter. In December, the retailer announced it had completed a distressed debt exchange that S&P analysts said improved the company's liquidity "somewhat." Last year, bebe paid out around $65 million to dissolve its physical retail footprint. The move helped it avoid bankruptcy and transition to an online-only player. That helped it make a relatively graceful exit from traditional retail. Bebe, a brand with a solid reputation for chic fashion, suffered after the departure of creative director Neda Mashouf, who exited after her 2007 divorce from founder Manny Mashouf. The latter took over as CEO in 2016. Bebe also faced declining mall traffic and other widespread headwinds in the apparel sector. The company in the second half of 2017 posted an operating loss of about $4.6 million, down from $20.3 million the year before, months ahead of shuttering its stores. The list of areas where Pier 1 needs to improve is long. As Jeffries analysts led by Daniel Binder put it in a June note, the company is in for a "heavy investment year" as it addresses "sourcing, merchandising, pricing, marketing, store ops, e-com and supply chain." Net sales in Q1 fell 9.2% year over year to $371.9 million, and comparable sales fell by 8.2%, according to a company release. Its net loss widened dramatically — by 850% — to $28.5 million from $3 million in the year-ago period. Not helping things for the retailer: tariffs. After the Trump Administration in July proposed an expanded list of Chinese goods that would receive a 10% tariff, Pier 1 issued a press release that noted nearly 60% of its sales projected for the year derive from products made in China. About half of those sales would be made up of products subject to the proposed tariffs, the company said. Yet Pier 1 also said that it was working to mitigate the impact and did not expect its financial results for the fiscal year to be materially affected. The company's CFO left in February, and the retailer then appointed a former media executive to the chief finance spot. This spring the retailer said it was focused on executing its "Plan B." It went on to sell its specialty pharmacy unit to CVS for $40 million and put the rest of its pharmacy business up for sale. In May, Fred's said its top-line sales for the previous fiscal year fell 4.3%, and comps fell 2.5%. Its net loss nearly doubled to $139.3 million. Office Depot CEO Gerry Smith told analysts in February that 2018 would be a year of transition. That means, in part, shifting the company's emphasis from retail sales to business services after federal antitrust enforcers blocked a merger with rival Staples. Smith called the turnaround efforts a "multi-year journey" that is already beginning to show some "favorable trends." But Office Depot's sales fell 7%, to $10.2 billion, in 2017. With an 11% year-over-year decline, the company's retail sales fell by even more. As it invests in B2B operations, the company last fall acquired IT services firm CompuCom. Since then, the retailer has introduced a "BizBox" subscription that includes more with services than supplies. Services now make up about 14% of Office Depot's sales, which are helping push up the company's top line even as retail sales continue to decline. Office Depot carries about $1 billion in debt.